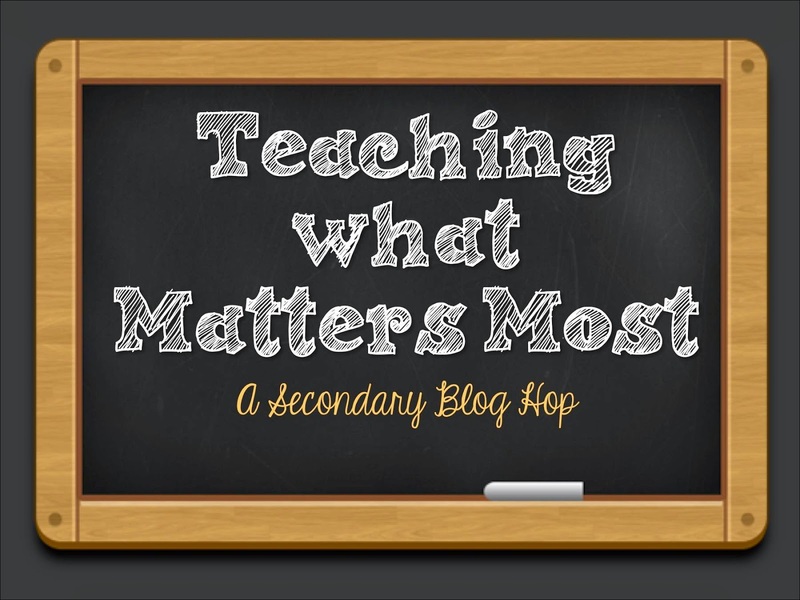 Thanks to Jackie at Room 213 who invited me to be part of her link up on what matters in teaching! What do you know to be true about learning and what do you try to focus on, regardless of how many days you have with your students and what external pressures there may be? I try to incorporate a variety of interesting materials, not necessarily a textbook, to launch discussion and to reach students who learn in different ways. That includes viewing movies to engage students and use as a springboard for other activities. After a serious review of what resources were available to me when I took over my current teaching assignment, I read a variety of French modern fiction to find something that I thought would resonate with the kids I teach. Once I found something, I worked hard on a pitch for a set of novels other than what we already had in the storage cupboard. I used what materials the school owned already, sure, but assessed some weaknesses and carefully selected something that I thought would be more appealing. When new investments aren't available, find a way to swap materials with a nearby school or use authentic materials to add variety to your program. I also like to use picture books, current events, articles and short video clips ... as I teach French as a second language, I need to say: in the target language to spark discussions inviting students to express their personal opinions but also to think critically about them as well as others' points of view. In terms of writing fluency, I have students write in a journal once a week. I don't assess this work directly, but use it as a way to get students expressing their thoughts without stopping for a short period of time. I also will make "Next steps" comments within the journal for individual students, to give them feedback on their progress and what to focus on still. I also use the students' writing to let me know what we might need to work on as a class - when they're ready for an explanation of some language convention, for example, as a mini-lesson - and to provide additional support materials and practice to individual students to further their own learning. How do you make sure you focus on what is most important in your classroom, given the many time constraints and competing priorities? Thanks so much for sharing, Tammy. 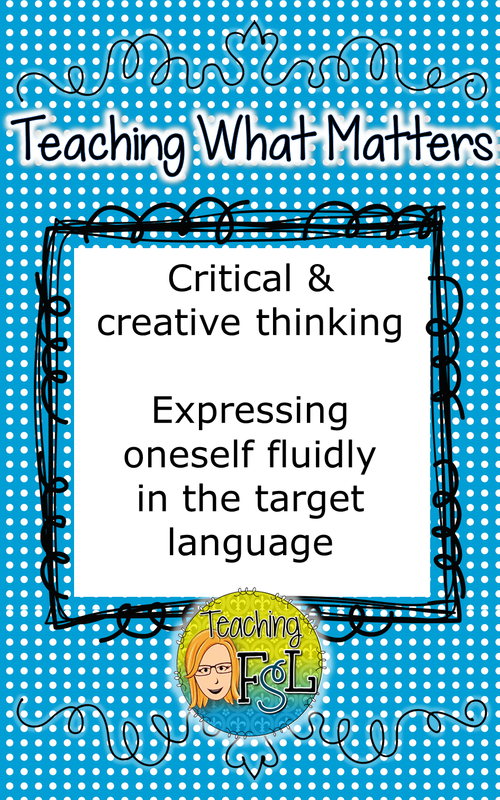 Your students are lucky to have a second language teacher like you! I love that you use movies to gain their attention. As we are preparing our trip to Europe, I've been watching Eat, Pray, Love and Under the Tuscan Sun over and over so I know how to act and what to eat while we are in Italy! ;) And I'm just praying that my high school French will not fail me when we visit Paris! Merci beaucoup! I am so glad to have taken French through my school career--but I wish I had had someone like you as a teacher. Thanks for sharing. It's great to know that teachers across the curriculum list writing as a priority. It is so crucial for college and career readiness! Thanks for this. My daughter has been in FRIMM for 7 years and will be transitioning to english next year due to some things beyond our control, but I appreciate your approach to second language learning!